Fine photographic equipment has always been a trademark of Camera Bar with accessories to match. We are an authorized dealer of Canon, Nikon, Olympus, Sony, Fujifilm, Leica, Benro, Manfrotto, MeFoto, Tenba, Lowepro, ThinkTank, PacSafe, Tamron, Sigma, Tiffen and many more. We also stock used equipment and offer camera and lens repair services. Our knowledgeable staff is committed to making your selection an enjoyable, professional experience with the highest level of service, not the highest level of pricing. Camera Bar's award winning imaging lab develops digital input, as well as APS, 35mm and 120mm film.We use only the best machinery and process your images on Noritsu archival photographic paper which has a 99 year shelf life. Camera Bar's talented printer knows the importance of your photographs and handles each print with the most personal care. 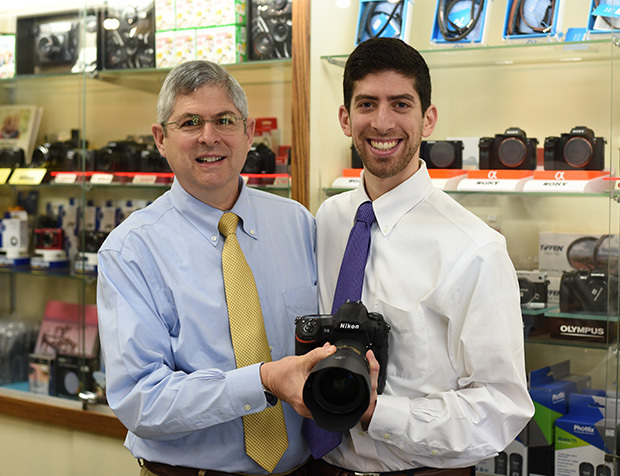 Rick Goldenthal, his son, Aaron, and their Camera Bar team are always ready to guide you both in purchasing the right equipment for your needs and in teaching you how to use it for the best picture taking results. After obtaining your camera and accessories from Camera Bar, do not hesitate to revisit with questions on how to improve your technique. Camera Bar is an award-winning, longstanding leader in the industry. We are rooted in tradition and quality with a passion for learning about the latest trends and innovations in the field. Please check our "What's New" section for items coming soon to Camera Bar, follow our latest adventures or class offerings on Facebook and Instagram and stop by to get to know us. We are looking forward to seeing you soon! 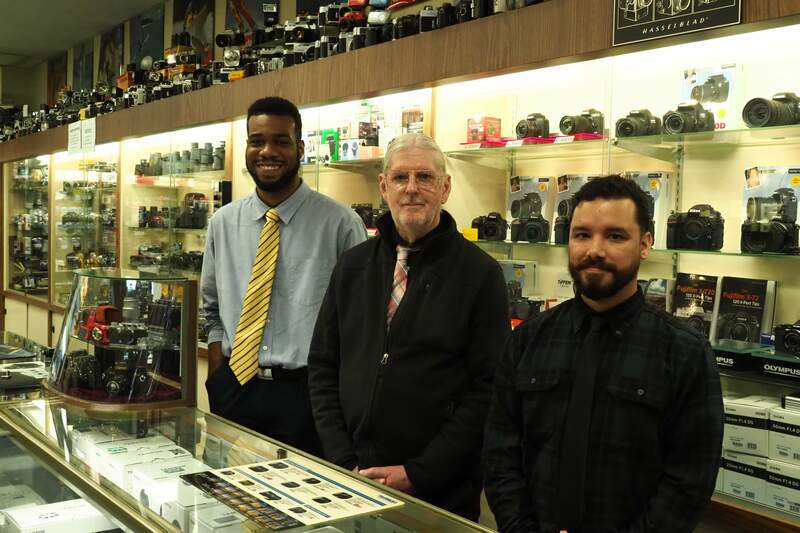 Come visit Camera Bar at 75 Asylum Street, Hartford, CT, to see for yourself why our exceptional balance in traditions of quality and visions for the future has convinced customers to come back to us time after time for all their fine photographic needs.